Multiple reports are suggesting that NVIDIA might be launching their GeForce Pascal cards close to Computex 2016. This isn’t the first time we are hearing such a news as last month, we got to hear that NVIDIA had plans for launching a GeForce Pascal card at the end of May which is about when Comptex starts as companies love hosting their own Pre-Computex seminars. Nevertheless, the story is still a rumor but since we have multiple reports, it might suggest that NVIDIA is up to something big in the upcoming months. 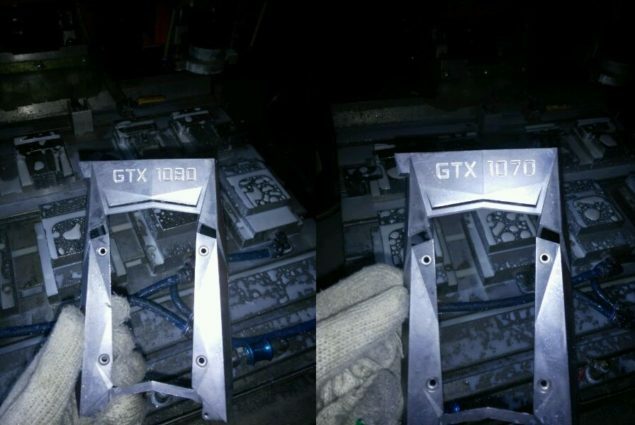 Alleged Cooler Shrouds of upcoming NVIDIA GeForce graphics cards. The rumor comes from Sweclockers that NVIDIA and their AIBs will present the latest Pascal graphics cards for the GeForce brand at Computex 2016. The GeForce Pascal graphics cards will feature the 16nm FinFET process and use a brand new architecture to deliver the best gaming performance. The rumors alleges that NVIDIA will launch two graphics cards to replace their current GeForce GTX 980 and GeForce GTX 970 graphics cards which utilize the Maxwell architecture. NVIDIA launched their GeForce GTX 980 and GeForce GTX 970 graphics cards back in September 2014. Both graphics cards featured the second generation Maxwell architecture and are long due for an upgrade. Both cards secured a high market share in the PC Gaming market as GTX 970 is still the most popular graphics card available in the market. The GeForce GTX 980 launched at $549 US ($499 US Current) and the GTX 970 was introduced at a much sweeter price point of $329 US ($299 US Current). NVIDIA’s Pascal GPU Will Feature two times the computer performance per watt efficiency! The current pricing structure of Maxwell based cards has been quite competitive even when there was little to no competition from AMD at the time of 900 series launch. AMD’s offerings came in June 2015, 9 months after the launch of the Maxwell cards and NVIDIA still managed to offer very competitive performance with their top GTX 980 Ti graphics card which remains one of the best cards to purchase at $629 US ($649 launch price) versus AMD’s own $629 US Fury X ($649 launch price). Computex begins on 31st May and as said earlier, some companies hold Pre-Computex press conferences which is something NVIDIA could plan to introduce their GeForce Pascal lineup. 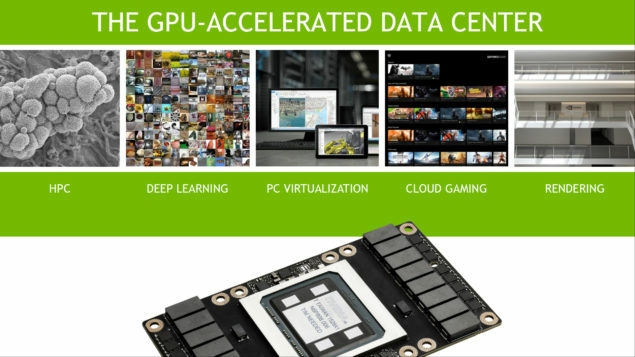 We state GeForce in this post because the Tesla / Tegra parts are likely to be the highlight of GTC 2016. If NVIDIA does announce a GeForce based GPU based on Pascal at GTC, then that would be interesting. There’s no name for the GeForce Pascal graphics cards which is confirmed. The GeForce GTX 1080 and GeForce X80 are rumors but we can see that people are definitely excited to know more about Pascal GPUs. The rumors also suggest that the GeForce GTX 980 and 970 replacements in the Pascal family will use GDDR5X. 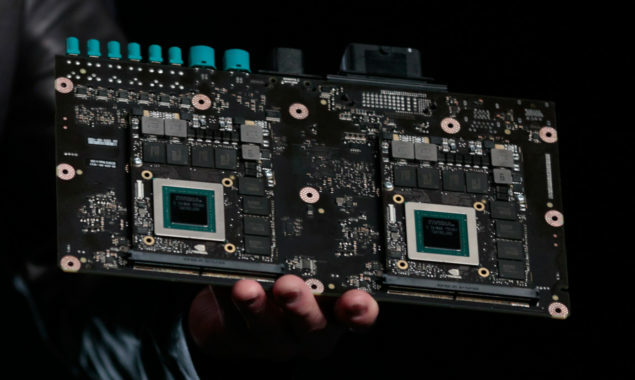 Both NVIDIA and AMD are expected to use GDDR5X memory for their upcoming, competitive graphics cards while the high-end GP100 based parts will utilize HBM2 VRAM. Those are aimed at Tesla market for now but we will be really surprised if NVIDIA announces a new Titan card at GTC with HBM2 VRAM (That’s very unlikely). The NVIDIA GeForce Pascal cards are expected to feature up to 384 GB/s bandwidth if they do indeed feature GDDR5X memory along a 256-bit bus interface. 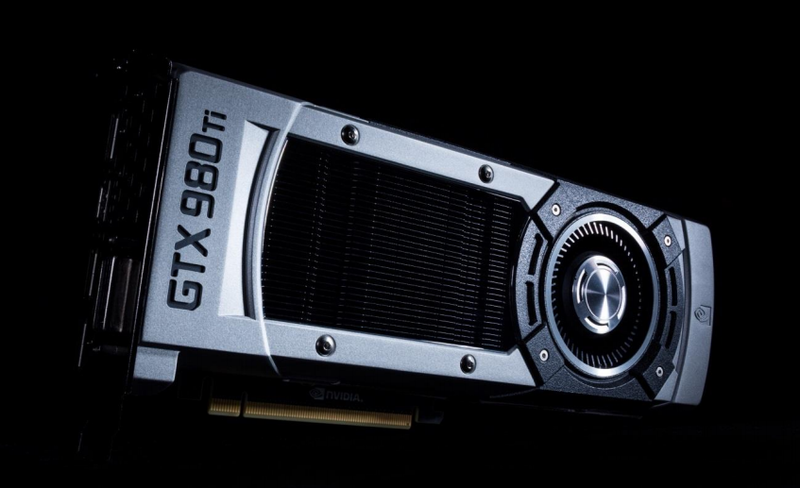 The GeForce GTX 980 replacement is said to offer performance close to the Titan X which is currently a $999 US graphics card. The performance bits are still rumors but we can expect some benchmarks leaking close to the launch. NVIDIA’s Drive PX 2 can support up to two Pascal GPUs in MXM Form Factor! As for the entire GeForce ecosystem, the Pascal GPUs will be aimed at both Desktop and Mobile platforms. The MXM Pascal modules are already under production for the Drive PX 2. The same GPUs will be utilized by high-end mobile designs. NVIDIA managed to cram an entire GTX 980 board under the hood of several enthusiast-class laptops. That was a 28nm design. With 16nm FinFET offering better performance per watt and energy savings, we could see another fast mobile Pascal solution for NVIDIA in the mobility market. While there is talk of external GPUs on notebook front, I personally believe that having a faster built-in solution to be a better option. The cheapest Razer Core enclosure sets you back for $500 US for the external module. You still need a graphics card and a GTX 980 equivalent from AMD and NVIDIA costs around $449-$499 US. That alone is a thousand dollar investment. One might be better off spending similar or lesser cash on a discrete class graphics card for their enthusiast laptop. Volume production of TSMC’s 16nm FinFET process started in Q4 2015. 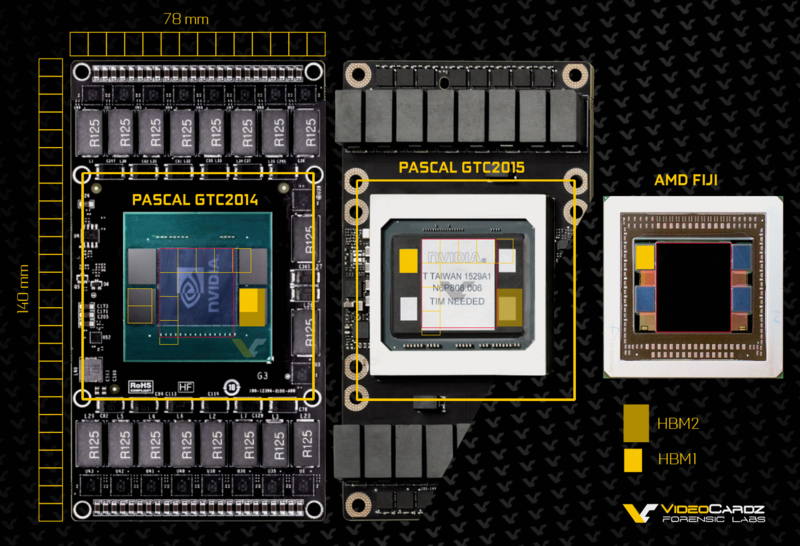 Pascal which is based on the same process is expected to hit markets by Q2 2016 at earliest. This includes the high-end GP100 GPU which will become the first GPU to feature HBM2 standard. NVIDIA will have GP100 GPUs deployed in a range of HPC platforms as the GPU itself is very critical for such applications. The GP100 chip will feature three key tech, Mixed Precision (FP16), NVLINK (Fast GPU-To-GPU Interconnect) and Stacked DRAM (HBM2). The Pascal GP100 GPU Will Be Aiming The Data Center Market With Insane Compute Performance! The last rumor on NVIDIA GPUs is from Zolkorn who report that NVIDIA will be ceasing production of the GM200 SKU specific to the GTX 980 Ti graphics card. There’s currently a large supply of GTX 980 Ti GPUs and graphics cards in the market but the reason stated here is that due to the upcoming launch of Pascal GPUs, NVIDIA could be ending the production of their current flagship GM200 SKU. The GeForce GTX 980 Ti Has Remained The Fastest Single GPU In Majority of AAA Gaming Titles! No further GM200 GPUs will be supplied to AIBs for the manufacturing of GeForce GTX 980 Ti graphics cards but that’s only because it will be getting replace by the faster Pascal offerings. The GeForce GTX 780 Ti was also replaced by the GTX 980 since the Maxwell card offered better performance compared to its predecessor while being cheaper. Of course these are all rumors and we expect the dust to clear off in a couple of days. NVIDIA’s GTC 2016 will host several seminars on GPUs and graphics technologies.